Come experience "Authentic Hospitality" in beautiful Plantation, Florida! The Hyatt Place Ft. Lauderdale/ Plantation is perfectly situated along West Broward Boulevard just ten minutes East of the Sawgrass Mills Mall and Bank Atlantic Center, 15 minutes West of the Hollywood/ Ft Lauderdale International Airport, 20 minutes West of the beautiful beaches of Ft Lauderdale and night life and 10 minutes from the Seminole Hard Rock Casino. World of Hyatt members can enjoy our complimentary breakfast when they book an eligible rate. Our breakfast includes premium ingredients, cage-free eggs, and regional chef-inspired dishes. Mix business with pleasure. Whether you are a business traveler, sports enthusiast, or vacation traveler, we are confident you will love to call the Hyatt Place Ft Lauderdale/ Plantation your home away from home. Catch great deals at the Sawgrass Mills Outlet Mall, be entertained by many shows and sporting events at the Bank Atlantic Center, or stroll along the beautiful Ft Lauderdale beaches. Experience great night life and fine dining along historic Los Olas Boulevard or enjoy a great meal at J Alexanders. PET POLICY: 1-6 NIGHTS A 75 NON-REFUNDABLE FEE. 7-30 NIGHTS A 75 NON-REFUNDABLE FEE PLUS AN ADDITIONAL 100 CLEANING FEE. MAXIMUM OF 2 DOGS PER ROOM ARE PERMITTED. WEIGHT MUST BE 50 LBS OR LESS MAX OF 75LBS PER RM. FEES ARE IN USD. Einstein Bros Bagels: Bagels, panini sandwiches, entree salads, breakfast sandwiches, etc. Conveniently located just 5 minutes from I-595 in beautiful Plantation, FL. 10 minutes to I-95. Just 20 minutes from Ft Lauderdale beaches and downtown Ft Lauderdale. 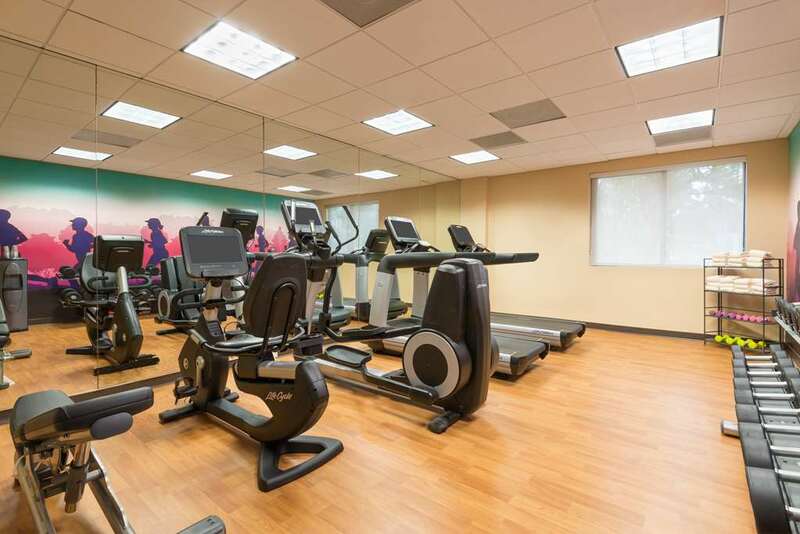 Walking distance to Broward Mall and the Fountains' Mall. 11 miles from Ft Lauderdale International Airport and we offer free shuttle to and from the Famous Sawgrass Mills Outlet Mall. Bank Atlantic ArenaHockey. Official home of the Florida Panthers. Musical concerts.